I thought I was dreaming when I saw this. A bunch of my favorite characters all going up against each other on the same screen. Characters like Goku from Dragonball, Uzumaki Naruto and more. It seemed like a fan made poster as well. But much to my joy, J-Stars Victory Vs is very real. It’s always great when publishers or big companies listen to what the fans want. And Namco Bandai has hit the perfect spot. 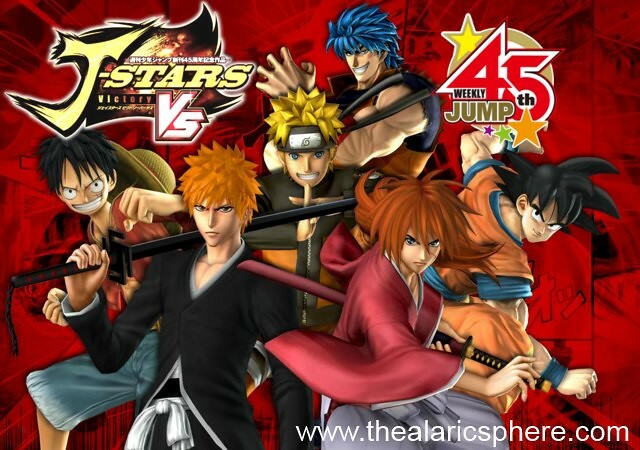 Coming out for Playstation 3 and Playstation Vita, J-Stars Victory Vs is giving anime fans from all over the world this amazing gift. This is a 3D fighting game where the challengers are based on characters that are published in Shonen Jump’s weekly magazines. There hasn’t been much information shared yet but from what has already been released, it is enough to get me so excited. There are a few characters announced already and they are the relevant folks. The ones I know from watching their anime are Monkey D. Luffy from One Piece, Son Goku from Dragonball Z, Uzumaki Naruto from Naruto Shippuden, and Kenshin Himura from Rurouni Kenshin. The other folks joining the fight are Toriko from Toriko show, Ichigo Kurosaki from Bleach, Kankichi Ryotsu from Kochira something and Gintoki Sakata from Gintama. From the video, it looks like everyone is faithful to their own character abilities. Monkey D. Luffy has his gomu gomu rubber skills, Naruto has his Rasengan, Kenshin has his ultra fast Hiten Mitsurugi stuff happening and Goku has his meha wave fireballs. I honestly hope that there will be a story mode that at least explains why they’re going up against each other. Probably worlds collide and to save their own universes they need to beat the others or whatever. I also hope that there will be villains in J-Stars Victory Vs as well… From One Piece I want Arlong and Crocodile, from Rurounin Kenshin of course it has to be Shishiyo and maybe Jinei, from Dragonball it could be Mojimbo and from Naruto maybe Orochimaru. 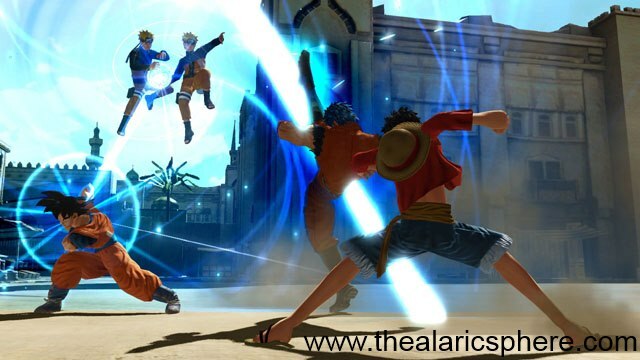 J-Stars Victory Vs has been announced only for Japan so far. I hope they translate it to English. Else, I’m also fine just playing it without understanding. No date has been set yet. It just says that it’s 2013.